Headquartered in Johnson Creek, Wisconsin, Johnson Creek Enterprises was the first American made e-liquid manufacturer selling e-liquid directly to the consumer via an online store. 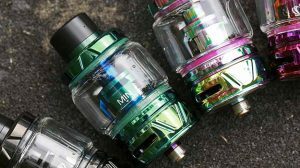 It manufactured and shipped its vapor products to over 120 countries around the world, while also manufacturing e-liquid for some of the biggest names in vaping, such as Blu, Fin, and several others. 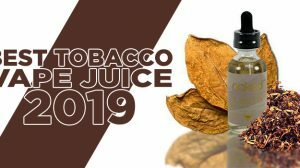 Due to a constant demand of e-liquid, selling directly to the consumer, wholesale bulk e-liquid manufacturing, and from the chain of brick and mortar stores, Johnson Creek became the second largest e-liquid manufacturer in the world. 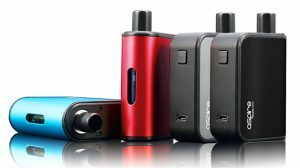 It all started in 2007 when the founder, Christian Berkey used his first vaporizer. Berkey soon after began experimenting with creating flavors to make the perfect e-liquid flavor for himself. He started in his kitchen, then his basement, and after letting people sample his personal flavor creations he noticed an immense reaction. This is when Berkey decided to push forward and make the flavors available to the public. He moved away from the basement and began building a proper lab staffed with a skilled team. Their President, Mike Galesky, jumped on board, then came Heidi Braun, President & COO. As time progressed, the company moved to Hartland, WI, where it currently resides. 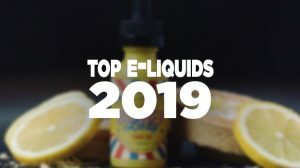 Now that you know more about the company and brand, it’s time to share the saddened blog post that will ultimately become the last words from one of the most iconic vaping brands of our time. And, how this letter starts it’s immediately apparent that something definitely isn’t right and something had to have gone terribly wrong with a brand that seemed to be moving in strides. The letter went on to thank those who have supported the Wisconsin based business for the last 9 years, sharing that they’ve gained many great customers that have been loyal and proceeded to call them family. 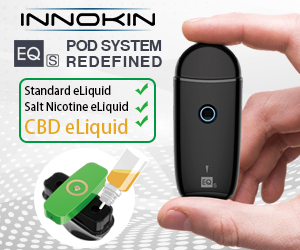 Next, they encouraged everyone to not give up on the industry and to continue supporting others in the industry, then naming several vapor brands that one would assume they’re in some way affiliated with or have a high respect for, such as Blu, Black Note, Ethos, Virgin Vapor, Nicopure, NJOY, and many others. While many may disagree with these words, I’m assuming Johnson Creek may have become too big for their britches. Sure, they’re an iconic brand that’s paved the way for so many others, sure they’ve received attention from being spotlighted on things like TIME Magazine, and sure they’ve gained brand awareness from partnering with large companies, such as Blu, Fin, and several others. However, they still face bankruptcy, which looks to be their ultimate demise. I don’t know, maybe their original mistake falls back to 2014 when they decided to join forces with Republic Tobacco, a large distributor of roll-your-own and make-your-own tobacco products and accessories. I have great respect for a company that has helped direct the industry throughout the last 9 years, and although I haven’t ever given their product the chance due mostly to the lack of interest in the brand, I hope that they’re able to find solid traction and pull through in such a terrible time.